One of the all time favourite landscaping plants, Lavender can be used as a feature plant or in mass plantings. Also grown commercially for cut flowers as well as oil extraction it is a versatile plant suited to many garden designs. 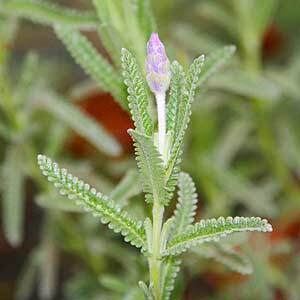 Lavender comes in many forms and is a very hardy plant. Great for low borders, or hedges, used in mazes, suited to underplanting taller shrubs or just grown in the cottage garden. A variety of flower colours, foliage colours and flower forms are available from wholesale growers in Australia. Wholesale growers supply lavender in a range of sizes from tubestock to larger potted specimens throughout the year. Some growers offer a wide variety while other offer a few of the more popular varieties. The traditional notion of purple flowers has long gone, Lavender varieties now include white, yellow and even red flowering types. The purples come in many shades and flower form also differs.